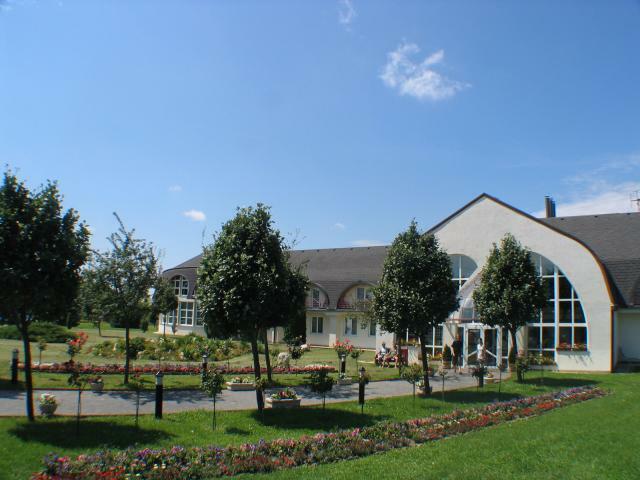 The hotel can be found in the outskirts of Keszthely, near Hévíz, which is famous for its thermal water, in quiet and peaceful surroundings with a spacious and grassy park. From our hotel - being open all year round -everything can be reached in a couple of minutes though the noise and business of the city is left behind the gate. 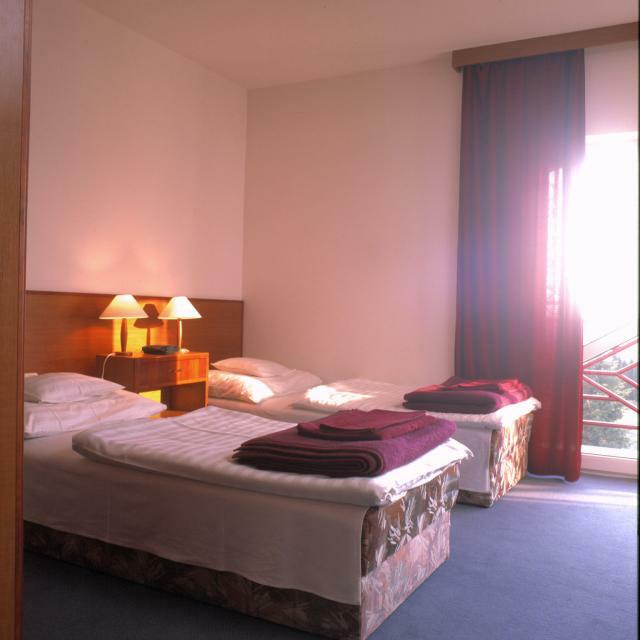 Discount for children: under 4 years gratis in (grand)parents room, 4-15 years discount of 40% on extra bed. The local tax must be paid over 18 years, 410,-Ft/person/night. Our hotel accepts the following credit cards: Visa, Master Card, Maestro, JCB. 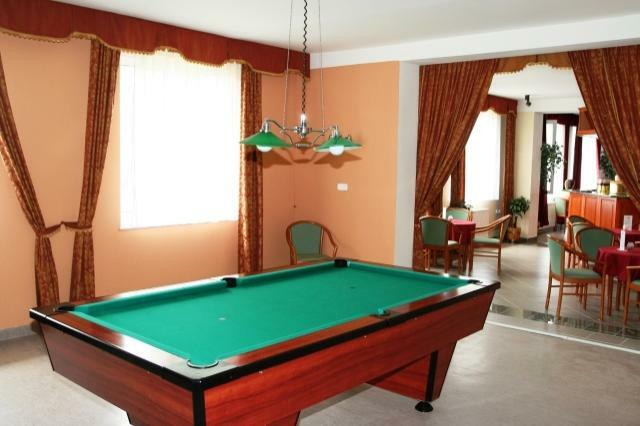 The hotel has a familiar atmosphere with spacious, air-conditioned rooms and apartmans waiting for the guests. Every room and apartman is equipped with TV, telephone, radio with alarm clock, and WIFI, wireless Internet access, Tea-kitchen, bathroom with a shower and terrace/balcony belong to the rooms and apartmans. At the apartmans the toilet can be found in a separated room, separated from the shower; the bed-chamber can be separated from living room with a curtain. At the Spa therapy section of our hotel you can choose among different medicinal treatments based on the endowments of the Hévíz Thermal Lake with professional medical help and control. The treatments are: mud pack with the medicinal mud of Hévíz, under water massage, electrotherapy, alternative exercises, sole massage and Japanese Yumeiho-massage. rent a bike and hire a tennis court. We are waiting our smallest guests with bath tub, cot, feeding-chair and child-seat, which can be put on a bicycle and with a play-ground and children’s paddling-pool in the park. 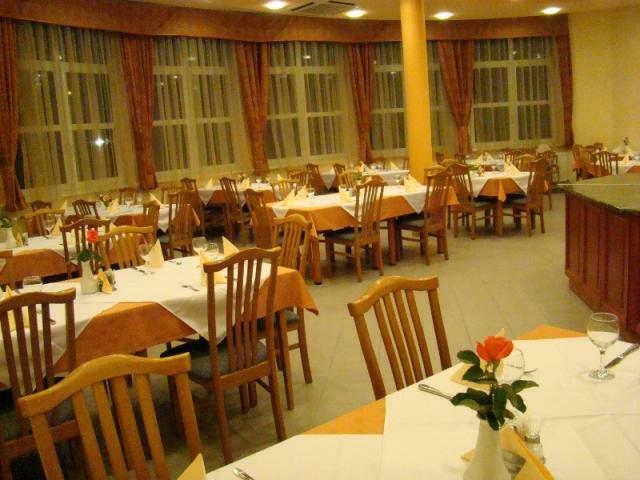 At the air-conditioned restaurant of the hotel we offer international and dietetic dishes besides national meals. According to demands there is a possibility to dine a''la carte. In the atmospheric drink bar we wait our guests with an Internet-corner, a wide variety of drinks, cocktails and coffee specialities from spring to autumn on our shady terrace. 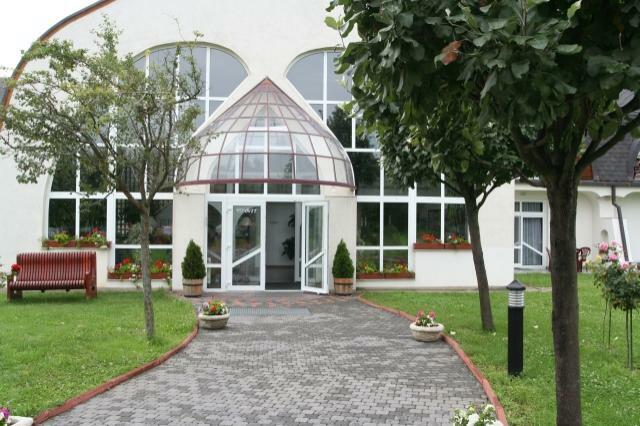 The restaurant - to 70 persons - is very suitable for organizing programmes and celebrations. The spacious, well-equipped and air-conditioned conference room is the scene of many successful meetings and trainings. Our domed conference room can accommodate 100 persons; it has excellent acoustics, natural lights, a service-kitchen and a counter for serving up. The conference room is equipped with; TV, video, projector, flipchart, overhead projector screen, telephone, WIFI. The area can satisfy - from all respects - the demands of those wanting to have relaxation and regeneration. 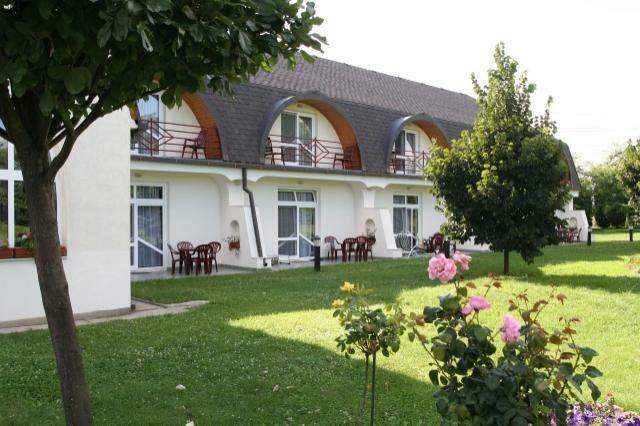 The area of Lake Balaton offers excellent possibilities for hiking, making excursions and active sports. 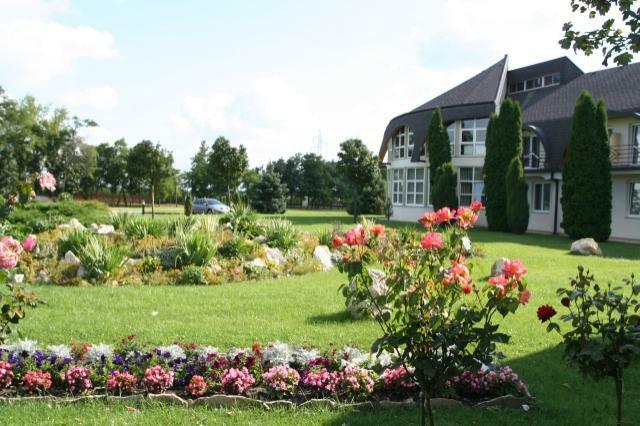 Keszthely - as the cultural centre of the region - waits the guests with artistical programmes and beautiful sights. Our Reception gladly gives information about current programmes, events and entrance-fees.